In an industry loaded with acronyms and confusion, it can sometimes be difficult to sort through the terminology to make sense of things. To remedy this, TMC and Althos publishing recruited 15 telecom experts, each with specific knowledge of IP telephony technologies and business practices. This team, together with input from over 1,025 other dedicated contributors gathered, added, and edited what are now the latest VoIP, telecom and data network terms and acronyms in use today. 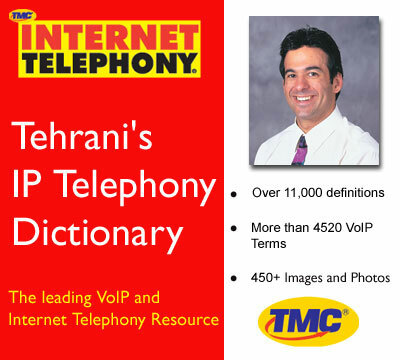 Please give Rich Tehrani your feedback on this best selling VoIP resource!